When selecting wires and cables, you must take these factors into consideration, like applications, laying conditions and safety . you can choose power cables, overhead cables and control cables depending on different applications. 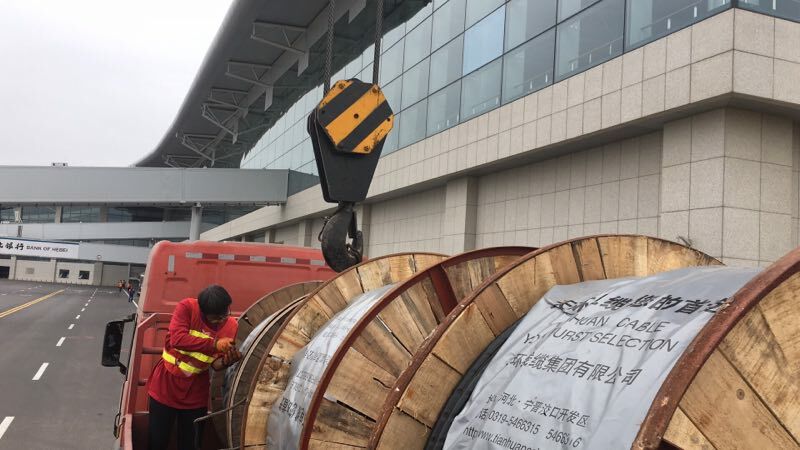 According to the different laying conditions, plastic insulated cable, steel tape armored cable, steel wire armored cable, anti-corrosion cable and so on can be selected. Considering safety, flame-retardant cable, halogen-free flame-retardant cable and fire-resistant cable can be selected. 2, Avoid storing cables in the open air, and the cable disks are not allowed to be placed horizontally. 3, When lifting packages, it is strictly prohibited to lift several dishes simultaneously. In vehicles, ships and other means of transport, cable trays should be fixed with appropriate methods to prevent collision or overturning making mechanical damage to the cable. 4,Cables are strictly prohibited from contacting with acids, alkalis and mineral oils. There should be no harmful gas in the storeroom which destroys insulation and corrodes metal. 5, The cable should be rolled regularly during storage (once every three months in summer). Keep the bottom up, so that the bottom will be damp and rotten.Always pay attention to the integrity of the cable head when storing. 6,The storage period of cables is generally not more than one and a half years from the date of manufacture, and the longest period is two years. Last>：Which cable jacket is best for your application?